MetalRockNews: Bring Me The Horizon's Jordan Fish: "We still like some heavy music, but I also like Justin Bieber"
Bring Me The Horizon's Jordan Fish: "We still like some heavy music, but I also like Justin Bieber"
Bring Me The Horizon keyboardist Jordan Fish recently talked with Rolling Stone about new song Throne and new album That's The Spirit. You can read an excerpt below. 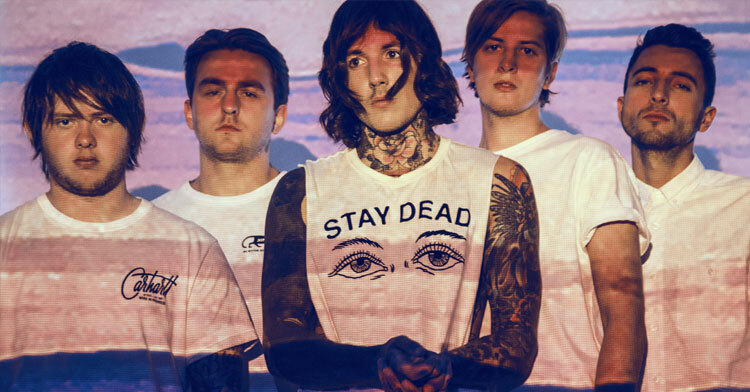 Jordan talked about Bring Me The Horizon's musical change: "We don't listen to extreme deathcore anymore. We still like some heavy music, but I also like Justin Bieber. My wife told me the other day I have the music taste of a teenage girl. Every time we release an album there's always a bit of resistance. You just have to have faith in yourself and be proud of what you've made and hope that eventually people come around to it."